The next Danish track in this series certainly qualifies for the “unique” category. 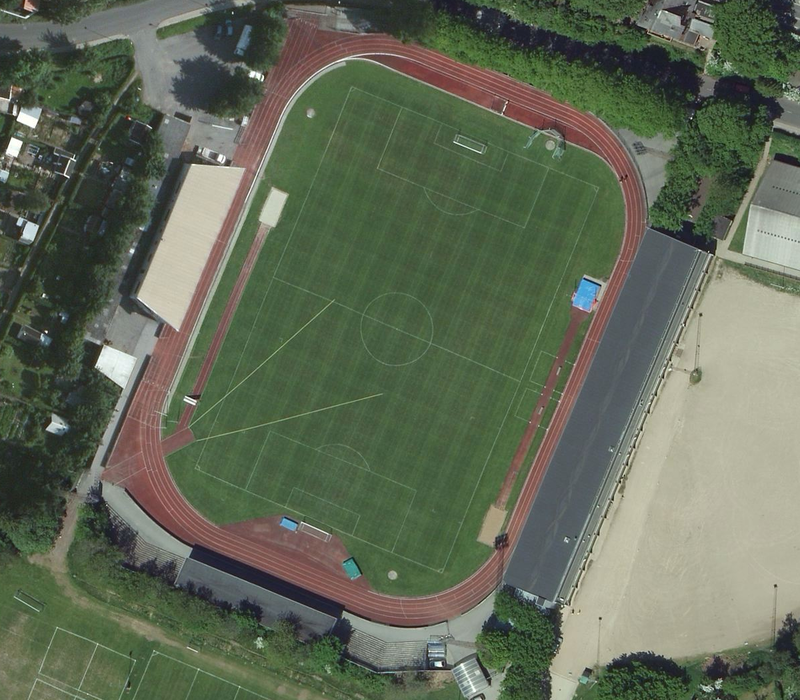 As you can tell by looking at the aerial view, this is a rectangle shaped track with two long straightaways, and two short straights on the ends rather than the normal curve. The track has four full lanes, but has two additional lanes on the main straightaway. 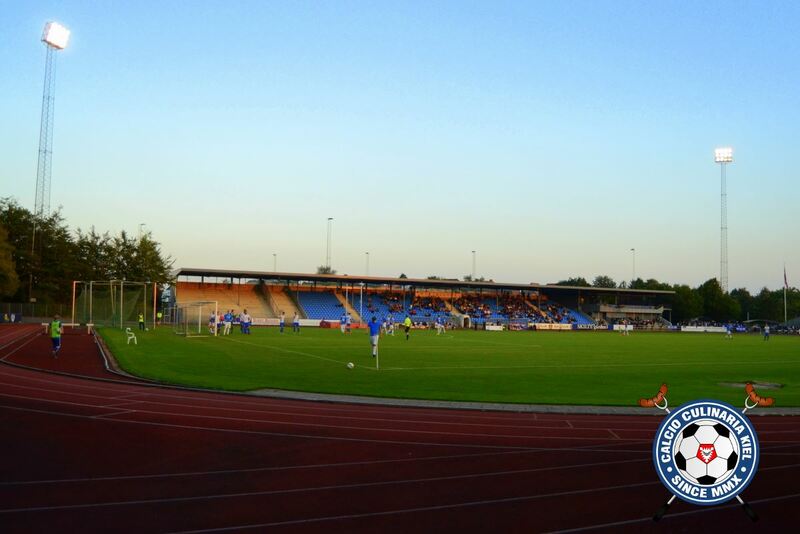 I couldn’t find any specifics on the Kolding Stadion track itself, but I’m guessing that it is actually a 400-meter track. The starting lines all appear to be at the correct spots. And to accommodate the flat “curves” at the ends, the two long straights are farther apart than usual, based on the lines for the soccer field. There is much more space between the sidelines and the inside of the track. And because of this shape, there really aren’t any D-zones, so the field events are located all around the inside of the track. The steeplechase water barrier cuts down the space even more in the north end. Of all the odd-shaped track that I have uncovered, this one looks to be the most usable though. I’ve never seen a rectangular track. The corners must be interesting to run.